Happy Birthday Caidyn Lee !! And He did !!!!! In Jesus’ Name, Amen! Today Miss Caidyn is 4 years old!! Happy Birthday little one, hope you have a very special birthday!! It’s a fresh, new, healthy year for my baby! Just last year we were spending most days at Valley Children’s, and now most days are spent at home! She is happy and most of all healthy! 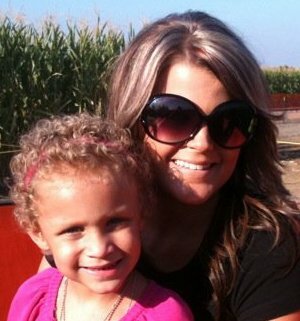 Today Caidyn’s wish will be officially granted by the Make A Wish Foundation. They will be here around noon to give us our plane tickets and all our information for our upcoming Disney World Trip. Can’t wait until November 10th when we will be on our way to our vacation!! Hope everyone has a safe Halloween!! We will happily take a free ballgame ticket! We will almost always take a free dinner ticket! These days, we will take pretty much anything offered that is free!!! Amen ?? Amen! We also accept well wishes, happy greetings, notes of sympathy, pats on the backs and almost always on the terms of generosity, gratitude and sometimes in terms of graciousness. Which is really the way we should view all of these things, these gifts, yes from people, but really from the fundamental essence of all goodness, yes, Grace. Many of the things above are obtained through or for an effort or a work, but none the less, these things are all in grace, from caring and loving people. Yes love, Grace is love. Would you like to receive something today that is free and that will overwhelm you with comfort and joy? It is very easy to do! God’s Grace, His Love, is available to you now, this instance!! Given to you by God’s Favor. Not for any effort, work, thought, desire or prayer of your own. You have it. Now! It is for you absolutely free. Here is the answer: God’s grace is going to be there at every stage of your life to help you do whatever you need to do. Want to explore or learn more about how to improve your life? Survive or recover from an illness or injury? Improve your finances and your quality of life? Maybe you desire to learn more about church, the Bible, Christians and their beliefs and are looking for a place where you can do this on your schedule and perhaps on your own or in private. Are you looking for ways to improve a relationship or even understand how to have a great relationship? His Message for You is an online source with information that will help you. Information that hopefully will inspire you and intrigue your interest to plan and move towards a better “Life”. His Message for You is provided to help you make your own choice with your own understanding of a way forward. This ministry is inspired to offer access to His message and to lead you to a better “Life”. We pray the blessings, grace and wisdom you find here will help you, lead you to a good Bible based church and into fellowship with people who feel and believe the same as you. Going to church often is good and you should. Reading the Bible often is good and you should. 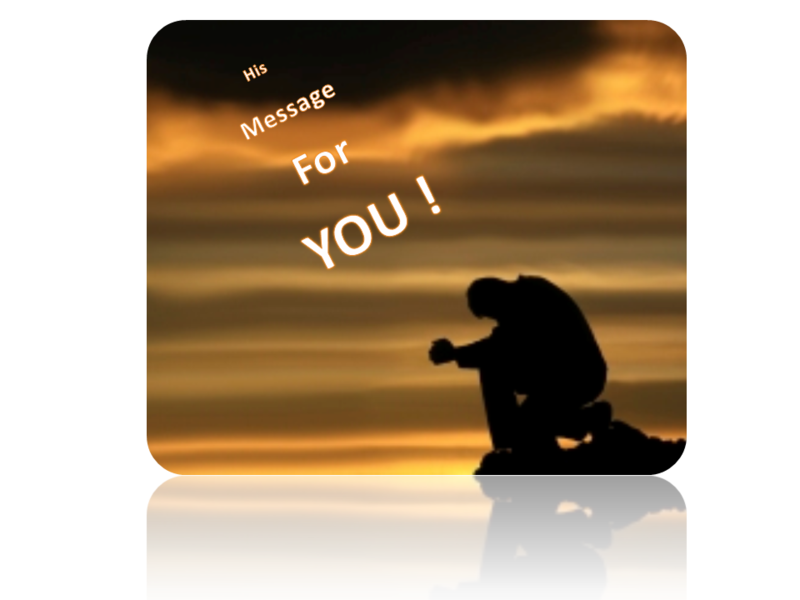 His Message for You is always available to you on your cell phone, your internet service or any computer that is connected. His Message for You is always just a click away!!! We pray you will find your way forward! We pray you will share His Message for You with others. We are on Twitter, just search for His Message for You. We pray you will allow His Message to be shared with the world. Please click “Share” and in the comment box write “Please click Share and ask your friends to click “Share” to help His Message reach the world through Facebook”. Father, bless you for the gift of technology and the internet. We thank you for providing an online site where we can receive Your Message for us. We know you will bless us when we Share your word and way with others. We pray today all those reading this message will Share His Message for You with all of their friends, family and those seeking a better way of “Life” and we pray You will lead them in Your Way. The last miner is out! Psalms 40 – 1 I waited patiently for the LORD; he turned to me and heard my cry. 2 He lifted me out of the slimy pit, out of the mud and mire; he set my feet on a rock and gave me a firm place to stand. 3 He put a new song in my mouth, a hymn of praise to our God. In the Name of our Lord Christ Jesus, Amen! Amen! Miners being rescued, all Glory to God!!! Father, we thank you. Indeed the miracle we are watching live is a blessing of Your Grace and Mercy for all of us when we stay and pray in faith and are aligned with Your Word. We are in awe and in total thanks and praise for the gifts of technology, wisdom, patience and faith You give us. Our God is an Awesome God!!! A new day, another chance, and a better start…..
Did you have a sleepless night? Were you thinking about things in your life that are a concern, a challenge or something only you can take care of? Did you get up this morning and begin to ask yourself questions that begin with How? Why? or When? or maybe it was just me! 🙂 Well, we all do, we are human and when we try to live a good life, when we try to live right, we have a mature awareness of who we are, where we are, and we get anxious about things that are not going well, as well, we get proud about things that are going well, you know that “Look what I did!” attitude. The enemy is just waiting for the chance to use your thoughts, your emotions and your “way” to distract you, to cause you misery and make you feel alone. You can easily overcome this, with just a simple thought. That “God” is. It’s true, simply know that God is real, that He can and will help you and your day will change immediately. Have just a little faith in Him, then take another look at yourself and those feelings we just described and you will see things completely different. You will also immediately begin to realize a good feeling, a feeling of love (because God is Love) and know that this is His Spirit. Yes, His Spirit is now in you. Just like that! You will also begin to realize who Jesus is! You are now starting your day with the right priorities, the right way to think, the best way to mature, and to …..
Father, today we receive Your grace, favor and mercy and our “Life” is changed. We have power over the enemy and anxiety and trouble. We have faith Your Grace is all we need to help us stay aligned to Your Word and live as an example of Your Love. Our “little light” will shine with You in us! Yes, today may have it’s challenges and things may be tough for you right now, but we have the protection and strength of the most powerful force there is. Be confident in the face of trouble that you will be victorious and always…..
Father, we believe and have faith in Your promises. We bless you and receive Your strength. We know you are with us as we press forward into victory! We have all made mistakes and will make them again. We learn and we move forward. Know that God is strongest in us when we are at our weakest. Be comfortable knowing His Plan for you is to live each day as a new one. The past is the past and we are forgiven, then we are given wisdom when we keep our faith in Him. We do not need to be judgmental, hold grudges, live in guilt and stress over things behind us because…..
Father, we bless You for Your goodness and grace. Our faith in You brings Your strength upon us. We will extend Your Grace to others and live as an example of Your love in everything we do. Father, watch over Your child, our Son, our Hero! Father, bless You. For many years you have faithfully watched over me. Even when I was not aware and often when I was not even thinking about You, acknowledging You or even taking a moment to thank You for all you have done, are doing now and will always do for me. You never give up on me and today the blessings in my life are incredible. Even though in a season, peace and joy are above all the feelings I have as Your inspiration pours though me and You bless me to serve You. Thank You Lord for using Your gift in me to raise a church and a ministry. Bless You Lord for a wonderful and supportive wife, in Your Spirit we are one. Bless You Holy Spirit for giving me the strength and wisdom to care for and raise my children as you have always cared for and raised me up. Bless You Jesus for my “Life”, for a gracious family and close friends that are truly our Brothers and Sisters. 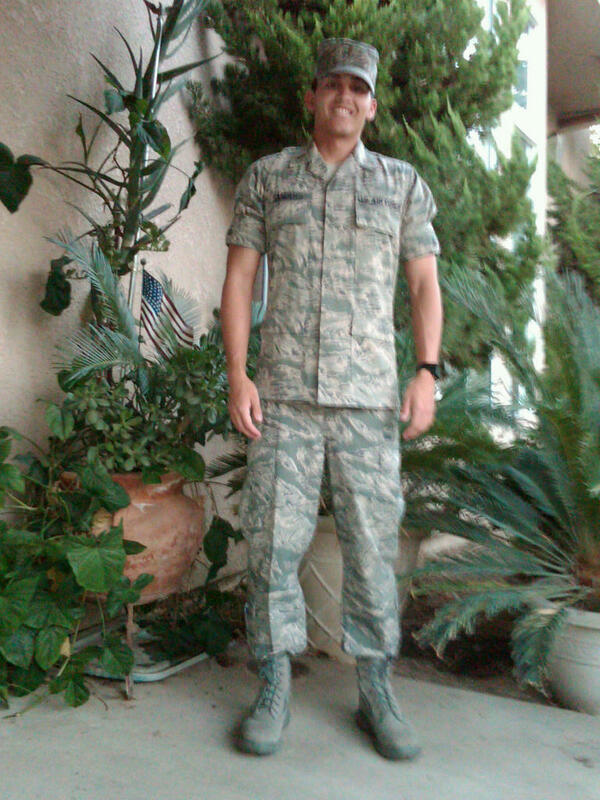 Praise You my Father, and as many read and share in faith this prayer, at this moment, we now send our son on to the “Life” You have provided and made for him, as we place him on a plane tonight to be the humble, good and faithful servant You created and to serve and protect our nation as an officer and pilot in the United States Air Force, we know You will lift up, carry in Your Hand, protect and bless 2nd Lt Matthew Benjamin Sanders as he begins his active duty service. Our Hope is always in You and we have faith You are always there for us and You will bless Matt with victory. Forever and ever. There is an attack just waiting to happen, there is a trap just around the corner, there is a heartache just out of nowhere. These things are true and will happen because in this world the enemy is constantly positioning himself to conquer you, to snare you and to break your heart. As much as he tries, from any and every direction, know that God is everywhere and…. Father. we know when we walk in Your Spirit, You are in our “Life”. You are everywhere we are! We place all of our cares on You, our difficulties, questions, and concerns and have faith You will protect us, watch our every step, and lift us up in every situation for our good. God Given Dreams become Reality (when you have faith)! Seeing our dreams come to pass ! Father, thank you for my day of confession with the family of Kings Harvest Church in Terre Haute, In this past summer. We offer our dreams, desires and thoughts to You. We Pray you will us our imagination for Your purposes. We have complete faith in You that we will see the dreams You’ve placed within us come to pass. Raise us higher in every area and bring You glory in everything we do. Know you can “Live” your dreams! Father, bless You for Joel’s influence on us and thank you for our dreams and desires. Our Hope is in Your Way to realizing them. Guide us and align our thoughts with Your Word so we can realize Your plan for us. In You, our dreams will come true. Realize your potential and achieve your goals! Father, we pray in faith to You and hand over all of our past, our disappointments and our failures. Bless us with Hope and expectation to stir up our dreams and desires that You have in store for us. God bless you I understood the many ideas. Continue teaching like this, pray for us to have strength by the holy spirit so as to realize our potential and achieve our goals being the child of God.